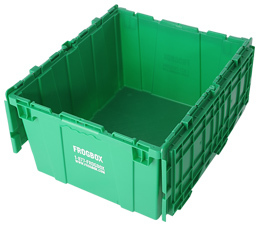 What’s the best way to pack your FROGBOXES? 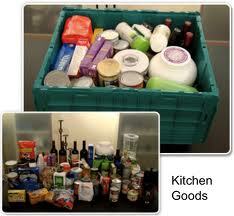 Gather your supplies – Find a spot in the room you are packing up & create a packing station. Make sure you have plenty of Frogboxes on hand and perhaps some recycled packing paper, recyclable bubble wrap, FrogBox labels and markers. Turn up the beats! – Music will increase your productivity and decrease your stress. Find your favourite tunes and boost up the bass. Make this fun not frantic! 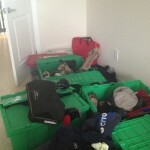 Assess your stuff – Before you start jamming everything into the first Frogbox take stock of your items. Do you have lots of heavy things? We’d advise you to spread out the weight using a few Frogboxes. Our boxes are sturdy and solid, but that means they weigh 3.5kg when empty. If you load that Frogbox to the top with hardback books or photo albums (people still have these, right?!) you could hurt yourself or your mover. PACK RESPONSIBLY – Keep the weight of each Frogbox to a maximum of 15kg (35lb). Pack in layers. Heaviest items on the bottom layer, followed by some padding (perhaps crumple up some recycled packing paper or recyclable bubble wrap, linens and clothes work great too), then a layer of lighter items, followed by another layer of padding (paper or bubble wrap). If you still have some space on the top use this for very light items. There are always a few surprise nick-knacks hiding in every room. TIP: pack dishes standing on edge, they’re stronger this way! Be mindful of your floors – before you start loading your Frogbox moving boxes consider putting a towel or mat underneath your Frogbox. This will reduce the likelihood of damaging your pretty hardwood floors (we want you to get that security deposit back!) Do not drag or slide filled Frogbox on hard or soft wood floors. Put like things together – pack room by room for ease of unpacking. 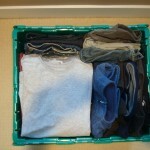 We’d recommend packing one room at a time to avoid further stress. Use our labels – we will provide you with ample labels for your Frogboxes. We recommend placing these labels on the side of each Frogbox (near our logo). Instead of writing a list of contents try writing the destination room, that way you can read the labels when the boxes are stacked. Make a first night Frogbox – you don’t want to be hunting around for your toothbrush the first night in your new home so pack smart, make a first night box filled with essentials. Toiletries, clothing, medication, snacks and maybe that old teddy bear that you just cant sleep without (we wont judge! ).